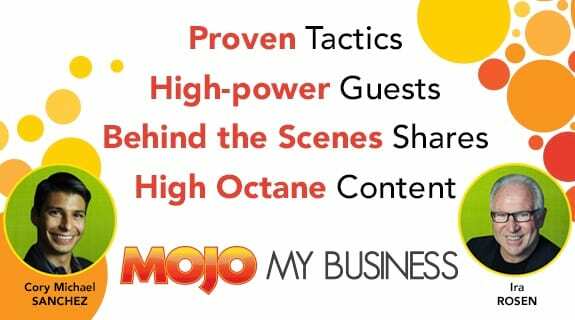 Tom Beal joins Mojo Marketing Edge hosts Cory Michael Sanchez and Ira Rosen to teach you how to become a “Success Magnet”. There are people who exert a lot of time, money and effort to drive new clients and bring in new revenues. Others actually “magnetize” sales and clients with minimal effort. Which one do you wish to be? Learn how important it is to step out of your comfort zone to open new business opportunities. Tom Beal provides five steps on how to “magnetize” people and establish your reputation in the industry for business success and added profits.